I don’t recommend that you even accept free nitrogen for this reason. It’s widely accepted and recommended that you should have your tire pressure checked in your tires at least monthly. We do this free for our customers and automatically do it at every service visit. When you are sold or even given nitrogen, it comes with a sales pitch that nitrogen will remain in your tires for a much longer time than air which is not true. 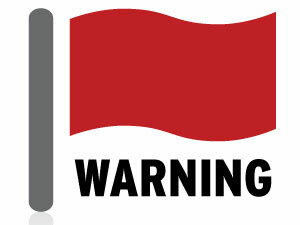 Click on this link to Consumer Reports article,www.NitrogenInTiresWastesYourMoney.com. If you believe the sales pitch, you’re less likely to check your tires inflation every 30 days. You may have a slow leak in one tire from a nail or screw, uneven wear from misalignment, or even a defective tire. Being “over confident” because you paid money for nitrogen may cause these problems to go undetected. Consumer Reports estimates that 1 lb of nitrogen will escape from your tires every 3 months vs. 1 month for air. Remember that air is 78% nitrogen. I’ll bet the salesman that sells you nitrogen “forgot” to tell you that. To be perfectly fair, I must say that some car dealers that are selling nitrogen have “drunk the Kool Ade” from the nitrogen generation equipment industry. Some car dealers actually believe that nitrogen is good for your tires. But those who do know must know how much they’re marking up that 25 centsworth of nitrogen they’re selling you! The argument for nitrogen can be persuasive. In fact, when the concept was first introduced, before the Consumer Reports study, I actually considered adding nitrogen to my customers’ tires. But, in an abundance of caution, I decided to test the claims about nitrogen myself. Over a six month period I used pure nitrogen in 50% of my rental car fleet and regular air (78% nitrogen) in the other half. Guess what! There was no measurable difference between the pure nitrogen and air filled tires in the fuel economy, tire wear, or inflation pressure after 6 months. We did check the tires every 30 days for slow leaks from road hazards, uneven wear from misalignment or other reasons, and we rotated and balanced the tires every 5,000 miles. If you look online or in today’s newspaper, you will find that most car dealers in your area are having a sale of some kind. It may be because of a current holiday, “too large an inventory” of cars, to “reduce their taxes”, “the manager is out of town”, or some other nefarious lure. Advertising 101 says that you should give the prospective buyer a “motive to act”. Unfortunately, it doesn’t matter whether the motive is real or not. The fact is that most car dealers do not sell their cars for less during “sales events” than they do at any other time. I point this out so that you don’t rush your buying decision. If you don’t buy a car during the tight time constraints of a phony sales event, you can negotiate just as good a price the next day. The exceptions to this are legitimate rebates offered by the manufacturer. These often expire at the end of the month which is one reason why the “last day of the month” really can be the best time to buy a car”. Driving the car you are considering buying home can be a good thing. It will give you a lot better idea about how the car performs, etc. However, there are two reasons the car salesman offers this. One is that you must leave the vehicle you might be trading in with the car dealer. This means that you cannot shop the trade-in price with other dealers. The second reason is the psychological impact of parking that new car in your driveway where your family and neighbors can see it. The slang expression for this is “the puppy dog”. If you were to take home a little puppy from the pet store, you and your children would fall in love with her and could not return her the next day. This has to be one of the most insulting ways that some car salesmen have of intimidating a prospective buyer. It’s amazing how many people actually succumb to this which allows the salesman an element of control…. you can’t leave until they give you your money back. If confronted with this ultimatum, simply walk away. “Are you ready to buy a car today”? I started in the retail auto business in 1968, about almost 49 years ago, and I have seen a lot of changes in the way we dealers sell cars and the expectations of our customers. My remarks in this column are made sincerely and with a positive intent toward you and your customers. I am not trying to tell you how to run your business; I am suggesting a change that will reward both you and your customers. Virtually every car dealer in Florida adds a charge to the price of the cars he sells, variously referred to as a “dealer fee”, “documentary fee”, “dealer prep fee”, electronic filing fee, tag agency fee, etc. This extra charge is printed on your buyer’s orders and programmed into your computers. It has been regulated in most states including California. You charge this fee to every customer and it ranges from a few hundred dollars to several thousand. You often charge several dealer fees by different names. Florida law requires that you disclose in writing on the buyer’s order that THIS CHARGE REPRESENTS PROFIT TO THE DEALER. Florida law also requires that you include this fee in all advertised prices. You don’t always do this and you get around the law by limiting the number of advertised vehicles (as few as one). The argument that I hear from most car dealers when I raise this issue is that the dealer fee is fully disclosed to the buyer on his buyer’s order. But, most car buyers are totally unaware that they are paying this. Who reads all of the voluminous paperwork associated with buying a car? The few who notice it assume it is an “official” fee like state sales tax or license and registration fee. Those few astute buyers who do question the fee are told that your dealership must charge this fee on very car. This simply not true. These astute buyers are also told that all other car dealers charge similar fees. This is almost true, but, as you know, my dealership does not. The reason you charge this fee is simply to increase the price of the car and your profit in such a manner that it is not noticed by your customer. This is just plain wrong. Dealers will admit this to me in private conversations and some will admit that they have considered eliminating the fee as I have, but are afraid of the drastic effect to their bottom line. By being able to count on an extra $899 in profit that the customer is not aware of or believes is an “official fee”, you can actually quote a price below cost and end up making a profit. Or, if the price you quote the customer does pay you a nice profit, you can increase that by several hundred dollars. This “extra, unseen” profit is even better for you because you don’t pay your salesmen a commission on it. That’s being unfair to your employees as well as your customers. 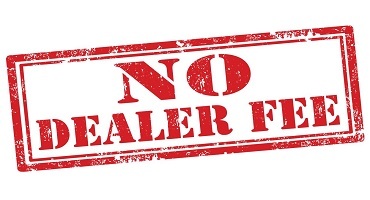 When the rare, astute buyer objects to the dealer fee, the law permits you to decrease the quoted price of the car by the amount of the dealer fee. This would have the same net effect of removing it. The salesman won’t permit this because he will lose his commission (typically 25%) on the decrease in his commissionable gross profit. If you don’t know me, I should tell you that I don’t profess to be some “holier than thou” car dealer who was always perfect. Although, I never did anything illegal, when I look at some of my advertising and sales tactics 20+ years ago and more, I am not always proud. But, I have evolved as my customers have evolved. My customers’ expectations, level of education, and sophistication are much higher today. Your customers are no different. As I began treating my customers, and employees, better I discovered that they began treating me better. Yes, I used to charge a dealer fee ($495), and when I stopped charging it many years ago, it was scary. But I did it because I could no longer, in good conscious, mislead my customers. Just because everybody else was doing the same thing did not make it right. Why am I writing this letter? I’m not going to tell you that I think of myself as the new Marshall that has come to “clean up Dodge”. In fact, I am well aware that this letter is to some extent self-serving. Lots of people will read this letter to you and learn why they should buy a car from me, not you. And, I am also aware that most dealers who read this will either get angry and ignore it or not have the courage to follow my lead. But maybe you will be the exception. If you have any interest in following my lead, call me anytime. My personal cell phone number is 561 358-1474. I don’t have a secretary and I don’t screen any of my phone calls. I would love to chat with you about this. If you look down at the bottom of virtually every car advertisement online, TV, or newspaper, you will see some fine print. Most often, you literally cannot read the print because it is so small and, on TV, displayed for 1 or 2 seconds. The disclaimers you read below were taken from a South Florida newspaper. I didn’t make any of these up. Basically what these disclaimers do is to totally negate the validity of all of the prices and payments the car dealers are advertising. The prices and payments are always much higher when you factor in the almost invisible fine print. Combining a very short lease term with a high down payment. Nothing sells cars like low monthly payments. A car dealer can make a monthly lease payment as low as he wants by decreasing the number of months of the lease and increasing the down payment. I’m looking at an ad in the newspaper right now advertising an SUV for $19,999 or just $199 per month. In the fine print it says 27-month lease and $3,000 down plus a $799 dealer fee. "Plus dealer installed options" The price you see advertised is not the full price. This loophole allows the dealer to tack on thousands of dollars in overpriced accessories to the price that was advertised. Dealers often charge well over one thousand dollars for floor mats, paint sealant, pin stripes, nitrogen in tires, emergency road service, and flimsy plastic door edge guards. "Impossible Rebates to Qualify for". “Owner Loyalty”. Manufacturers offer special cash rebates to current owners of their make of car. These rebates are not available to you if you don’t currently own that particular make of car. Other exclusionary rebates are “College Graduate rebates” and “Military rebates”. These are great for recent college graduates and service men and women, but do not apply to the majority of consumers. It is also very common to see dealers combine all three: loyalty, college graduate and military rebates, making it virtually impossible for any consumer to take advantage of. "Price …plus, tax, tag, and fees". The red flag word here is “fees”. The fees these dealers refer to are “dealer fees” which are synonymous for DEALER PROFIT. Most people believe they are federal or state taxes of some kind. They are nothing more than more money for the dealer that is not disclosed in the advertised and quoted price of the car. These “fees” go by many different names…electronic filing fee, tag agency fee, doc fee, notary fee, dealer service fee, administrative fee, etc. The only legitimate fees that can be added to the advertised price are GOVERNMENT FEES…fees paid to the state for sales tax and license registration. "Minimum Trade Based on Dealer List Price". The DEALER list price is not the same thing as the MANUFACTURER’S suggested price. Dealers add markups to the Monroney label also known as MSRP or manufacturer’s suggested retail price. They label this markup (often on a sticker designed to imitate the official federal Monroney label). Dealer markups of $3,000 and much more are common on such “counterfeit Monroney” labels. The dealer can mark up the price on the Monroney label by $10,000 enabling him to allow you an extra $10,000 for your trade in and still sell you the car for no discount from sticker price. My advice to you is to ignore all car dealers’ newspaper advertising. Most car ads are designed to “get you in the door” so that they can sell you some other car than the one advertised so that they can make more money. 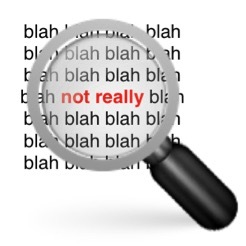 If you must respond to a dealer’s advertisement, be sure you break out your magnifying glass and carefully read the fine print. My advice to you is to ignore all car dealers’ newspaper advertising. Most car ads are designed to “get you in the door” so that they can sell you some other car than the one advertised so that they can make more money. If you must respond to a dealer’s advertisement, be sure you break out your magnifying glass and carefully read the fine print. My advice to you is to ignore all car dealers’ newspaper advertising. Most car ads are designed to “get you in the door” so that they can sell you some other car than the one advertised so that they can make more money. If you must respond to a dealer’s advertisement, be sure you break out your magnifying glass and carefully read the fine print.